I have been working with Renny for a few years now. My mother passed when I was young and my father is an alcoholic. I I was in a verbally and mentally abusive relationship for years and am finally free from him because of the help from Renny. The cellular expansion sessions enlightened me tremendously. I have struggled to complete my goals because I always put others needs before my own. I allowed people to control me and my thoughts. Renny has taught me to love my inner beauty. Today I am confident in myself and have never been happier. I got a promotion at work and am currently going to school for my graduate degree. I continue the cellular expansion sessions and will never stop. Renny saved my life. I was headed toward a downward spiral and she helped lift my spirits. 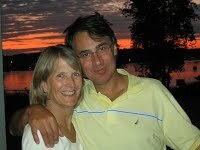 I had the extreme pleasure and good fortune to spend a holistic integration weekend with Renny last fall. The cellular sessions provided me the support and energy that was needed to allow me to work toward all I have imagined my life could be. Renny was able to help me chrystalize my thoughs and emotions and this, in turn, helped me to integrate easily into the person I truly am. Renny's care and understanding along with the cellular integration sessions on the table were able to help me see a clear vision and purpose for my life. I am able to do what is right for me and make good decisions while navigating through my life. By the end of the cellular weekend, I was totally lifted and energized all while feeling peaceful and relaxed. This weekend has been the most positive, lasing, and life-changing experience in my life. "I have dealt with anxiety and panic attacks for a few years now but I told myself I would never turn to taking medications to deal with this problem. When my anxiety started to negatively affect my everyday life and my health, I was referred by a good friend to Renny. I have not been seeing her for that long but after every session with Renny, I always feel lighter and calmer and able to live the life I want to. Through cellular expansion, I am able to voice the worries and concerns that even I didn't know I had. Renny has allowed me to open up my feelings and deal with them in a much healthier way than I have dealt with them in the past. Since my sessions, I have grown healthier physically, emotionally and mentally by learning how to communicate and manage my feelings." -M.M. "Throughout my life I have struggled with the devastating and lasting effects of childhood sexual abuse. After several years of traditional therapy with little to no results, I had pretty much given up hope. My sessions with Renny have been life-changing. Since working with Renny, my self-esteem has greatly improved. I now have more confidence in myself and my abilities. My outlook on life is much more positive and I feel at peace. With each session I gain more insight into myself and I have a deeper understanding and respect for the natural flow of life. Cellular expansion therapy has helped me in ways I never thought possible and the benefits of this type of therapy are endless. " - Victoria L. Way, Illinois. "Cellular expansion enabled me to expand my consciousness, and explore my inner being and soul. This experience helped me to realize my dream of conceiving and giving birth to my son. Renny led me gently through this experience with much wisdom and peace." - Anamika N., Washington, D.C.
"Were it not for Renny Sherrow, I'd probably be dead now. Or worse living as if dead. She guided me through the most difficult time of my life and continues to inspire me. She's insightful, compassionate and works with the greatest integrity. She is a healer in the truest sense, in that she inspires me to find the strength and the courage in myself to be whole and free. She facilitates healing physically, emotionally, mentally and spiritually. She is a guide with clear vision who empowers by reflecting and reminding us of our highest vision of ourselves. Working with Renny is enlightening." - D Nelson., PA.